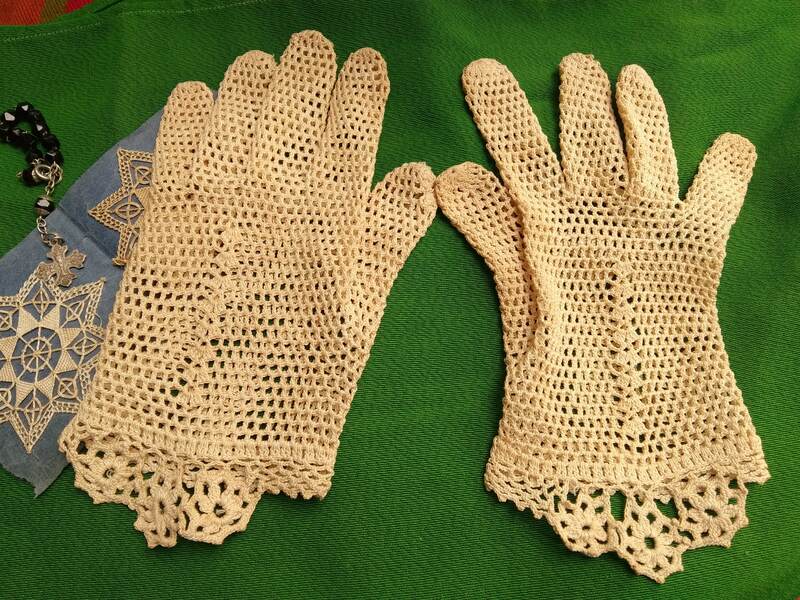 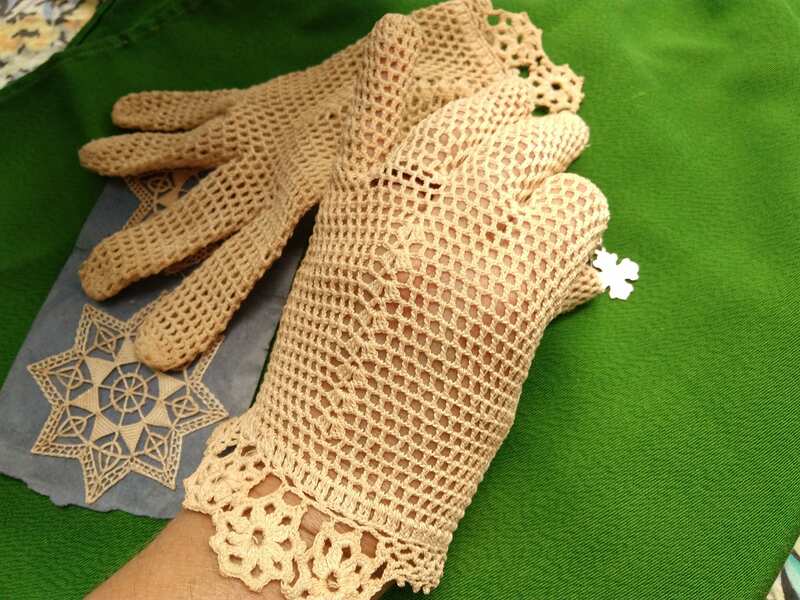 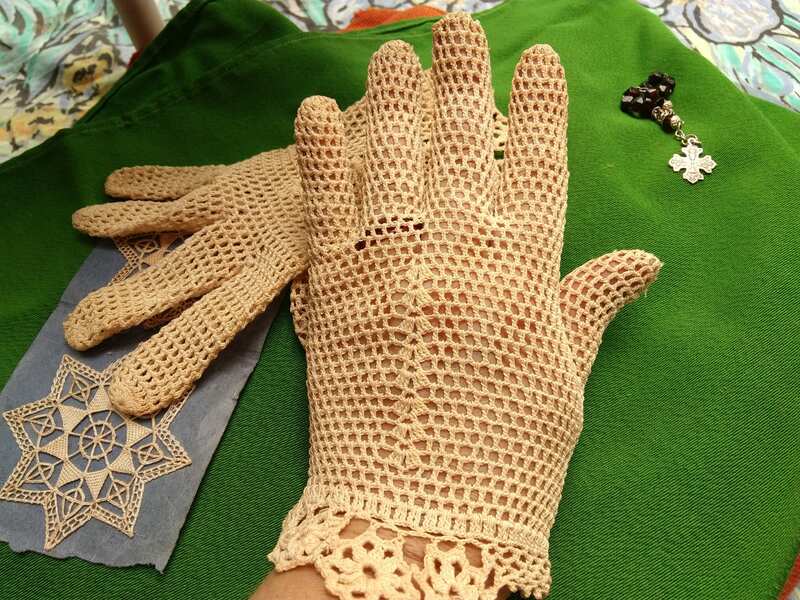 Lovely beige French filet cotton gloves . 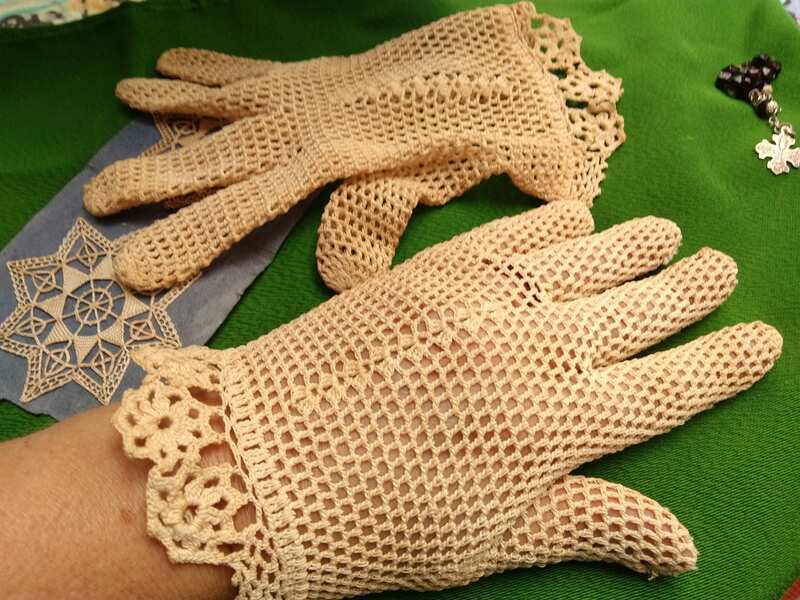 Vintage condition tips are darned. 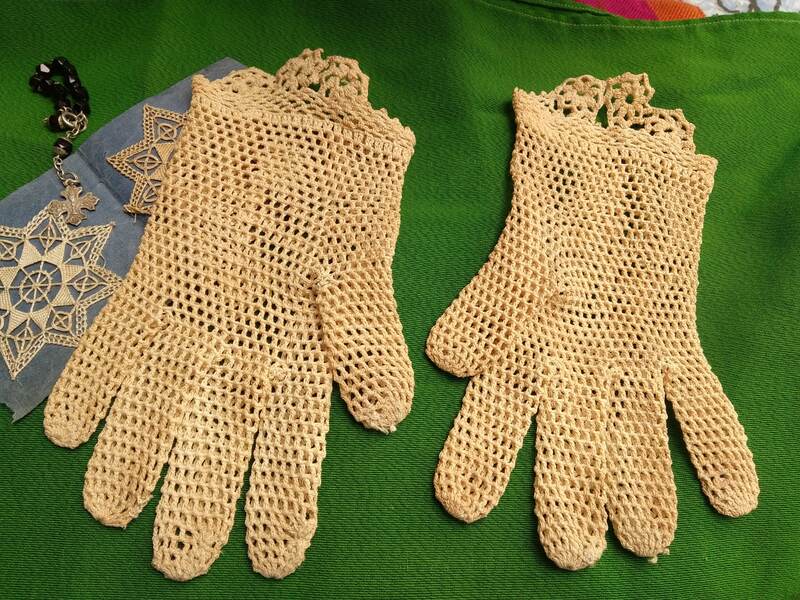 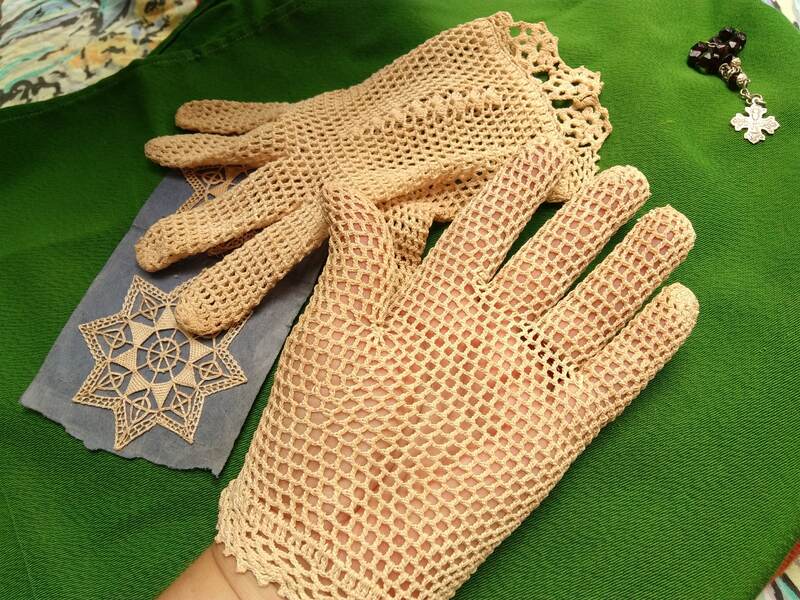 Lovely French retro gloves !